"Overcome Super Obstacles by Doing the Right Thing"
In INCREDIBLES 2, the sequel to Pixar and Disney’s classic animated movie, Mr. Incredible, Elastigirl, and their children spring into action once again when a supervillain hypnotizes innocent civilians to harm others. INCREDIBLES 2 is a fun, exciting, family-friendly superhero movie with lots of humor and heart, but it contains a couple light expletives and some scary elements requiring caution for younger children. As the movie opens, Elastigirl and Mr. Incredible are once again fighting Underminer, who’s trying to steal lots of money. Of course, Violet, Dash and Jack-Jack try to get involved, and the whole thing ends up in a mess, especially since the government has banned superheroes. When they’re detained by the officials and given a lecture, Elastigirl and Mr. Incredible have to decide whether or not they should fight for doing right, no matter what the law is, or if they should step back and live a normal life. When a wealthy businessman named Winston and his sister, Evelyn, tell Elastigirl, Mr. Incredible and Frozone they want an advocate for superheroes, they get excited. However, Winston tells Mr. Incredible he actually wants Elastigirl to be the one fighting bad guys and publicly presenting a good image of superheroes, because Mr. Incredible makes too much of a mess when he fights supervillains. Elastigirl is wary about the opportunity, because she wants to be there for her children. However, Mr. Incredible promises her he can take care of them, even laughing it off, telling her it’s an easy task. Not long after Elastigirl’s first day on the job, Mr. Incredible is overwhelmed by all his duties at home. He encounters problems helping Dash with his homework, handling Violet’s desire to date and coping with Jack-Jack finding his powers. Meanwhile, Elastigirl is thrilled to be out on the scene once again. On her first day, she stops a train from crashing and harming those on board. She finds out that the conductor was hypnotized by an evil villain to speed the train up and make it crash. Later, she finds out the villain’s name is Screenslaver. Seeing how everyone is addicted to their screens, Screenslaver is able to hypnotize many innocent civilians to follow whatever Screenslaver says. All the while, Mr. Incredible is completely overwhelmed at home. Will Elastigirl get Screenslaver and save the world? Will Mr. Incredible keep the family together? INCREDIBLES 2 is a fun, exciting, family movie that has the thrill of a superhero movie. The characters we know and love from the first movie are back, with a fun storyline. Some of the movie seems a bit mature. For example, Elastigirl and Mr. Incredible tackle serious questions about raising their children, and many scenes show the challenges of parenthood. Also, the main villain may be scary for younger children. Though this is the case, the movie has lots of wit, humor, adventure, and heart. INCREDIBLES 2 has a very strong moral worldview about choosing to do what is right all the time. The mother is the hero, but feminism is rejected, and men are respected, so not politically correct, and the husband and children are important to the heroic team. The movie also stresses family and learning to work together, no matter what the circumstances. Some viewers may question the fact that Elastigirl is going against the law, but Mr. Incredible makes the argument that, no matter what the laws are, people must do the right thing for the better of mankind and to save the world and not follow the politically correct dictum. Also, the villain Screenslaver represents the real problem of the mass media of entertainment screen addiction; so, Elastigirl and Mr. Incredible are fighting the hypnotizing influence of the entertainment screens. One main theme is that the Incredibles family is different because of their super powers, and every family member must learn how to use their powers for good. Regrettably, there are two minor curse words, which is surprising for an animated family movie. Overall, though, the movie has a positive message about a family supporting each other. There are scenes involving bright strobing lights which could be problematic for individuals who have epilepsy, so please be aware of that before seeing the movie. 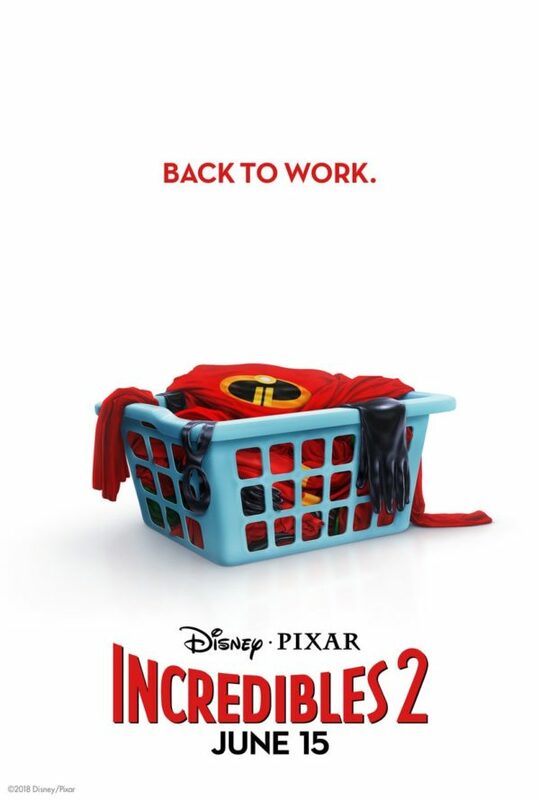 INCREDIBLES 2 is the sequel to Pixar/Disney’s animated classic. The government has outlawed superheroes, but a rich entrepreneur named Winston wants to reverse that mistake. He meets with the Incredibles and Frozone. He wants Elastigirl to represent superheroes and show the world that superheroes are doing a good thing when they fight evildoers. Elastigirl is nervous about leaving her three children, but Mr. Incredible assures her he’ll have no problem taking care of them while she’s working. Of course, that’s much easier said than done. Then, a new supervillain comes along, but can Elastigirl stop him by herself? INCREDIBLES 2 is a fun, exciting, family-friendly superhero movie. INCREDIBLES 2 has a strong moral worldview about doing the right thing. The movie also stresses family learning to work together, no matter what the circumstances. Some situations seem a bit mature, though. For example, Elastigirl and Mr. Incredible tackle serious questions about parenthood and raising children. Also, the main villain may be scary for younger children, and there’s light but brief foul language. That said, INCREDIBLES 2 has lots of wit, humor, adventure, and heart.